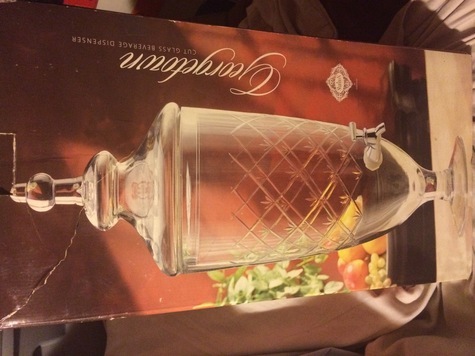 Georgetown Beverage Dispenser with a spout, Shannon Crystal by Godinger, 2 gallons. Big glass barware is mouth blown and features a cut pattern. The liquid dispenser is perfect for indoor, as well as outdoor entertainment. Country of origin: Switzerland, Dimensions: L9" x W7" xH25"